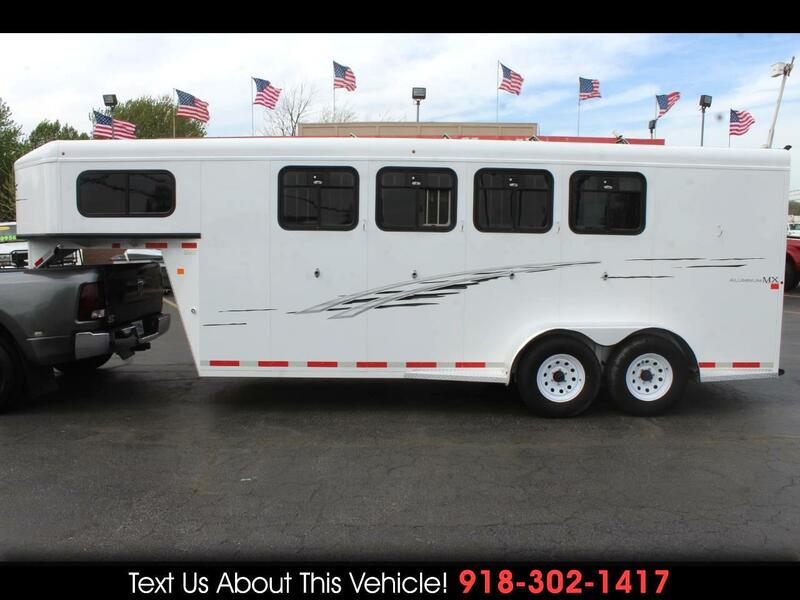 2017 Trails West Adventure MX 4H GN, 4 Horse Slant, Trailer Width 6' 9", Trailer Height 7', Drop Down Windows on Head Side, Rear LED Load Light, Pop Up Roof Vents above each Horse, 4 Tier Swing Out Saddle Rack, Door Mounted Tack Organizer. For more information give us a Call at 918-371-8888 or send us a Text Message at 918-302-1417. Message: Thought you might be interested in this 2017 Trails West Adventure MX.